Justice Utter joined CLIPA shortly after the group was first organized. Below is a letter from Justice Utter to the Capitol Campus Advisory Committee, Wa State Department of Enterprise Services and various elected officials and public entities. My wife and I moved to Olympia in 1955 where I worked for a year as a law clerk for the Washington Supreme Court. I returned to Olympia after practicing law in Seattle to serve as a member of that court for twenty four years. 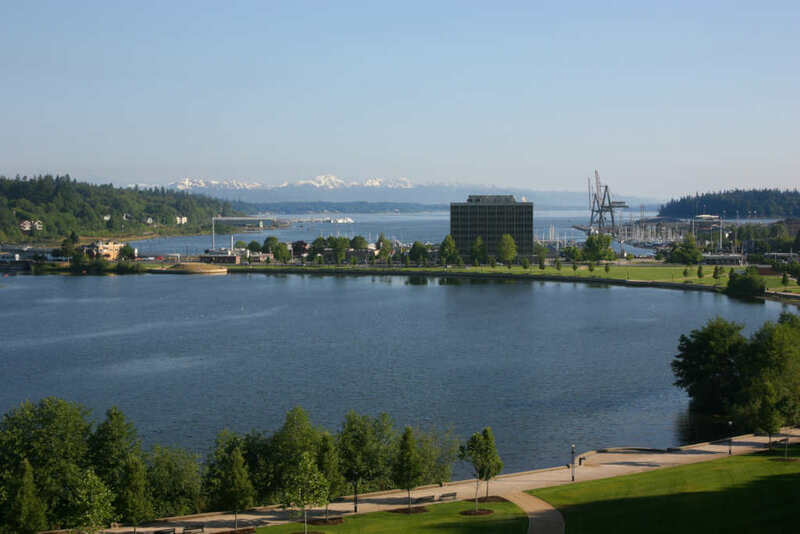 We have lived in Olympia since 1972 where we raised our family and were active in hiking, riding bicycles and boating in this magnificent part of the country. My wife, Betty, taught school in the Olympia area for 18 years. We have been fortunate as a family to be involved in many law related activities involving teaching judges and lawyers in most of the rest of the world. Each time we returned from these travels, we observed that Olympia was still the most beautiful place of all. Part of what has made it so was the magnificent cluster of buildings that make up the Capitol Campus and the reflection of those historic buildings on Capitol Lake and contributes to the symmetry of the Campus. As long-time residents, we were shocked when we heard the proposal to turn Capitol Lake into a mud flat during many tidal cycles by removal of the Capitol Lake dam. The dam protects part of the City of Olympia from flooding during severe flooding by the Deschutes River and also allows the use of the waterfront for recreational use by controlling the deposit of sediments. I have taken an active role in efforts to preserve Capitol Lake in ways that will protect this lovely asset in a balanced way so that it can best serve all the citizens of this State. In particular, I am persuaded in my support by the exhaustive research and comments of Professor David Milne who literally used Capitol Lake as another “classroom” for hundreds and hundreds of his Evergreen students during his 30-year tenure at the College. Dr. Milne concludes in the Executive Summary of his report that the Lake does not have a negative effect on Budd Inlet. In fact, the Lake actually improves the water quality in the Inlet. During my 24-year Supreme Court service, I wrote most of the early majority opinions that upheld the validity of the key issues of environmental protection in this State. The exhaustive analysis by Dr. Milne supports retaining Capitol Lake and makes it clear that this is not an issue that can be solved by attaching labels to various positions. Dr. Milne makes it clear that arguments put forward for the removal of the dam are not supportable. Furthermore, the issue is not whether the positions taken are either pro- or anti-environmental. He relies on facts to support his conclusions recommending retaining the dam. For this reason, I unqualifiedly support the retention and management of Capitol Lake as beneficial to the water quality of Budd Inlet. Justice Utter was a founding member, and member of the CLIPA Board of Directors until his death in October 2014.